Timbers Resorts has earned an excellent reputation as a developer of private residence clubs and high-end boutique resorts. We recently spoke to David Burden the founder and President of Timbers resorts about the companies resorts to date and its future plans. 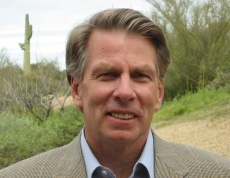 Burden (pictured below) started Timbers in 1998 with the aim of providing privacy, personal service, and luxury in beautiful environments or in his words delivering "front row settings" in "key upscale markets". The company has 6 developments, which are in diverse locations, and has some more new projects that are yet to be announced. The six current locations are The Rocks in Scottsdale, The Timbers Club in Snowmass, Esperanza in Cabo San Lucas, Castello di Casole in Tuscany , The Preserve at Botany Bay in St Thomas and the latest, One Steamboat Place in Colorado. Part of the Timbers Resorts quality factor is having their own in house architectural group with 3 in house architects. This in house team works very closely with external architects who are generally local to the property and who know local styles, designs and materials. This complementary approach balances the local knowledge with the company's high standards. The Timbers Club was the company's first development and is located right at the bottom of the Assay Hill Ski Lift on Snowmass Mountain in Colorado. Owners of one of the 36 three bedroom residences have a minimum of 6 weeks usage each per year. There's space to store skis and other sports gear from one season to the next. The Residences at Esperanza have won numerous (by SherpaReports reckoning its over 40) awards and accolades from the media and travel industry. There are 60 villas with 2,3 and 4 bedroom layouts and the architecture reflects the region's Mexican style with palapa roofs, earth-tones walls, and terra cotta stone. The Rocks Club (pictured below) has three- and four-bedroom villas ranging in size from 2,800 to 3,500 square feet. 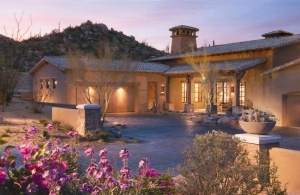 Owner/Members have privileged access to 9 local golf courses in the Scottsdale area in addition to their own club house. 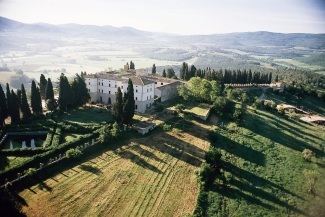 Castello di Casole (pictured right) is in Tuscany, located on over 4,000 acres of Italian countryside with working vineyards and working olive groves. The plan is to have a 42 room boutique hotel and 32 to 40 villas which are being sold in 1/10 fractions or as fully owned homes. 8 homes are currently open and 10 more are under construction. Each one is on a deeded 2 to 3 acres with a further 20 - 30 acre buffer zone providing lots of space to enjoy the tranquility. The 1/10th shares are between $625k to $775k depending on the villa. The Preserve at Botany Bay in St Thomas covers almost 400 acres on the whole of the western tip of the island. This entire area had previously belonged to one family. The plan is to build an 83 room hotel, have fully owned homes on 2 to 15 acre lots and a private residence club with about 30 residences. The first homes will be opening in 2008/09. One Steamboat Place is located right by the gondola at the foot of Mt Werner in Steamboat Springs. It will include 36 four and five bedroom whole ownership units and 42 four bedroom units sold in 1/8th shares. Timbers has sold homes in each of its developments to various destination clubs. It has the closest relationship with Exclusive Resorts such that Exclusive has bought into each of the Timbers development, buying multiple homes in each location to the tune of about $150m in total. Other destination clubs also have homes in the Timbers Developments, for instance Ventures Equity, Crescendo and The Markers have homes at the Rocks in Scottsdale and Ultimate Resort has homes in Esperanza. David Burden himself has been a member of Exclusive Resorts for about 2 years. His son worked for Exclusive for a couple of years and in Davids words "twisted his arm" to join. Although he said it's nice to go to other places - we'd guess that while his own developments are spectacular, he's always working while he's there and so the "other places" allow a little more rest and relaxation. In Italy several folks have already bought more than 1 interest and similarly in Esperanza several people bought multiple fractions. Quite a few people have also bought in multiple Timbers resorts. While these are less than 10% of all buyers it's becoming more and more typical and there are a few people who have bought in 3 Timbers locations. While Timbers isn't part of any external exchange companies for trading weeks of fractional ownership, they do facilitate swaps between owners of each of the Timbers resorts. In fact they have dedicated staff and software to support these exchanges and they typically have a few exchanges from owners each week. Although Burden pointed out that the ability to exchange, while being a nice benefit, is not the prime reason that owners buy into a Timbers resort. We specifically asked about resales of fractional ownership in the Timbers resorts, since overall there's not much information about the market for fractional ownership. All the anecdotal information we hear suggests that the market for fractionals and private residence clubs tracks the overall real estate market. In Timbers case a 1/8th interests at Timbers Club in Snowmass originally sold for $279,000 and when the development sold out in January 2004, the price had increased to $410,000 each. Currently re-sales are $440,000. David Burden summed up by saying that providing these exclusive developments is "easier if you deliver a great location", we'll certainly be interested to see the new locations that Timbers announces.